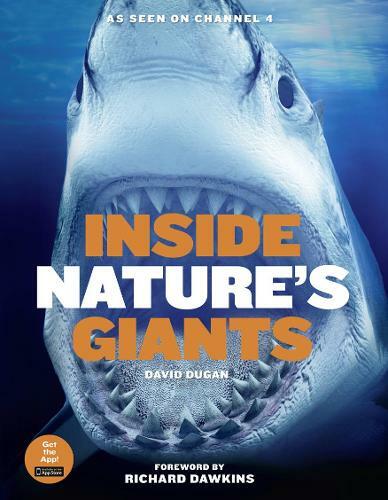 With a foreword by Richard Dawkins, and based on the BAFTA award-winning Channel 4 TV series, Inside Nature's Giants gets under the skin of the largest animals on the planet. See them as you've never seen them before - from the inside out. Inside Nature's Giants explores the anatomy of the largest animals on the planet to reveal how these amazing creatures really work. Rather than simply telling you how an animal behaves, the book features dissection, CGI and wildlife photography to show how millions of years of evolution have enabled animals to thrive across the world. This is natural history as you've never seen it before - from the inside out. Join the Inside Nature's Giants team of scientists and anatomical experts, including, among others, veterinary scientist Mark Evans, enthusiastic, scalpel-wielding anatomist Joy Reidenberg, science presenter Simon Watt and evolutionary biologist Richard Dawkins, as they unlock the secrets behind some of nature's most extraordinary beasts. Why doesn't a giraffe keel over and faint, when its head is so far above its heart? Why are crocodiles hopeless at chewing, when they have the strongest bite of all animals, and why does a giant squid have three hearts and pass food through its brain? By rolling up their sleeves to delve into these animals the team discover the answers to these, and many other fascinating, questions, revealing how evolution by natural selection is responsible for the bizarre biology of elephants, sharks, giraffes, big cats, hippos, crocodiles, camels, whales, kangaroos, giant squids and more. Using an interactive approach, Inside Nature's Giants offers an exciting, alternative take on natural history. By opening the single- and double-page gatefolds readers can go beneath the skins of the animals to experience for themselves how evolution has shaped the anatomy of some of nature's most magnificent animals.